CUTTING-EDGE NUTRITIONAL SCIENCE- The Power Of Clinical Validation | Micro Daily & Protein Daily in ACTION! Posted on December 10, 2014 by Micro Daily & Protein Daily in ACTION! The professionals behind MMF – MDs, PhDs, and research scientists represent 90+ years of extensive hands-on experience in antioxidant and genetic research. This team utilizes cutting edge tools and technologies allowing true research-level determinations (in blood, urine & tissues) involving biologic damage, inflammatory cascades, antioxidant function, and more. Their work appears in over 400 publications. Their work with the U.S. Department of Defense and NASA led to the invention and clinical validation of the micronutrient formulation in MMF. Efficacy requires 100% safety. MMF has been successfully tested for safety and efficacy in the laboratory, in animal studies and in human trials setting new standards in natural biologic protection. MMF has been utilized by countless troops, patients and volunteers spanning several years with no significant adverse effects. “Our extensive research and human clinical trials have demonstrated without question that MMF is indeed the first and only natural-form oral preparation of its kind for DNA.” Dr. Gerald Haase, M.D. Gerald M. Haase, M.D. 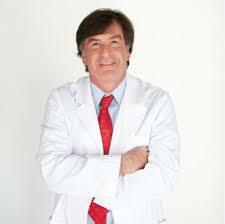 is Chairman of the Engage Glogal Medical Advisory Board. He is also Clinical Professor of Surgery at the University of Colorado, School of Medicine and Children’s Hospital Colorado. Dr. Haase has been active in clinical research trials for three decades including collaborations in the design of central venous access devices, applications of intra-operative radiation therapy for treatment of pediatric tumors, evaluation of technical surgical innovations in adult and childhood cancer, and development of novel strategies for antioxidant micronutrient therapy for war fighter protection, against hazardous exposures, for certain chronic conditions, and for optimal health, the result of which is Military Micronutrient Formulation. He received a B.A. degree from Johns Hopkins University and his M.D. degree from Tufts University School of Medicine and was awarded graduate honors in medical research. His post-graduate training was at the University of Colorado, the Children’s Hospital Medical Center, Boston, and the Children’s Hospital, Columbus, Ohio. In clinical practice, he was board certified in general surgery, pediatric surgery and critical care. He was Chairman of Pediatric Surgery at Children’s Hospital Colorado, and consultant pediatric surgeon to the Department of the Army. Dr. Haase served as vice-chairman of the Children’s Cancer Group, a cooperative research consortium of the National Cancer Institute. He was a member of the National Board of Directors of the American Cancer Society and its representative to the Alliance for Childhood Cancer. He is the author or co-author of 175 scientific publications, holds six U.S. patents for antioxidant micronutrient therapy and been the recipient of clinical research grants and contracts funded at a multi-million dollar cumulative level. He has served as an editorial reviewer for numerous journals including The Journal of Pediatric Surgery, Cancer, and The American Journal of Diseases of Children and was a member of the editorial board of The Annals of Surgical Oncology. Dr. Haase participates with the International Office of the National Cancer Institute and has been an examiner in pediatric surgery for the American Board of Surgery. He is a member of more than 25 professional societies including the American Association for Cancer Research, International College of Surgeons, American Academy of Pediatrics, New York Academy of Sciences, American College of Physician Executives, and is a charter member of the International Society of Pediatric Surgical Oncology. Dr. Haase is also Chief Medical Officer of PMC and Chairman of the Board of Directors of PMC Holdings, Inc.
Dr. James Ehrlich is a Clinical Associate Professor at the University of Colorado (endocrinology) and was an Adjunct Assistant Professor in the department of medicine at the George Washington University Medical Center in Washington DC from 1999-2012. Ehrlich established Early Detection Technologies, LLC which advises on best practices involving novel biomarkers, diagnostic testing and cardiovascular risk assessment, imaging technologies and radiation protection. With an Aspen Colorado internist, he established Aspen Preventive Health, a cardiometabolic clinical testing program beginning operations in September 2013. Since 2001, Dr. Ehrlich has been a medical advisor to Premier Micronutrient Corporation working with radiation biologists and anti-oxidant scientists to study and produce novel patented micronutrient formulations for biologic radiation and environmental toxin protection, neurocognitive and general health. In 2013, he was the interim medical director for Level 1 Diagnostics in Colorado, an organization which brings advanced cardiovascular risk assessment tools to physician practices in order to personalize and better target preventive medicine strategies. Switching careers from anesthesiology to personalized preventive/diagnostic medicine with “high tech risk assessment”, he founded and became the medical director of Colorado Heart and Body Imaging in Denver, two diagnostic facilities using electron beam tomography (EBT) and numerous other modalities for the early detection of coronary and vascular disease, sleep apnea, osteoporosis and some cancers. By 2002, Colorado Heart and Body Imaging became the “nation’s most technologically advanced and versatile screening center”. Beginning in 1999, Dr. Ehrlich has also medically directed HeartScanWashington DC, HeartScan Houston and HeartScan Indiana while consulting for several other imaging centers nationally. From 2007 to 2009, Ehrlich had served as the chief medical officer of Atherotech, a Birmingham-based cardio-diagnostic laboratory where his primary role involved the education of physicians in lipid medicine and the use of genetic, metabolomic and proteomic biomarkers for primary and secondary prevention. From 2011-2012, Cardionexus, a Houston-based affiliate of Panasonic Healthcare employed Dr. Ehrlich as senior medical advisor for the launch and promotion of the CardioHealth workstation, an FDA approved automated vascular ultrasound device. Teaching and communicating new ideas and introducing emerging technologies to the physician and proactive citizen have also been an avocation. 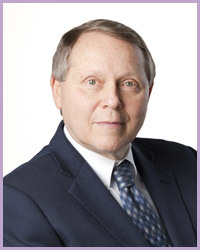 Considered an authority in the integration of imaging, physiologic and laboratory diagnostic technologies with conventional office based assessment, Dr. Ehrlich has delivered over 200 lectures to physician audiences on 5 continents and is the course co-director for two annual symposia on preventive medicine and preventive cardiology. Over the past 15 years, Ehrlich has made over 200 appearances on national and regional TV and radio discussing new methods for the early detection of disease and emerging concepts in prevention and personalized medicine. A co-author of a multimedia CD called “The Physician’s Guide to Coronary Imaging”, he is now editing a preventive medicine guide for the proactive consumer and creating a consumer health website—the book and website will involve 50 of the nation’s top physician experts in preventive medicine. Involved in atherosclerosis research with investigators at two medical schools, Dr. Ehrlich is a founding member of the Society of Atherosclerosis Imaging and a co-founder of the Society of Cardiovascular CT. He is an active contributor to and task force member of SHAPE—the Society for Heart Attack Prevention and Eradication. Most of his research has focused on the monitoring of subclinical atherosclerosis in insulin resistant states and in Type 1 diabetes. More recent research involves atherosclerosis in kidney failure patients and clinical studies involving biologic radiation protection. In June 2013, Dr, Ehrlich received the Ambassador of Bergamotto research award in Calabria Italy for his organization of clinical studies on an anti-oxidant rich fruit (bergamot). He is currently studying the cardiometabolic and hepatic effects of a proprietary extract of the bergamot citrus fruit. After graduating with honors from the Boston University School of Medicine in 1976 at age 23, he did his internship and residency training at the University of Colorado Health Sciences Center where he had been a Clinical Asst. Professor in the department of anesthesiology, a specialty he had practiced for twenty years. In 2009, he created the IDA (“Identify Disease in Advance”) Medical Foundation, a nonprofit organization whose mission is to provide access to advanced early detection tests in heart disease and cancer to individuals, regardless of ability to pay. As a creative endeavor, James Ehrlich is currently writing the novel which forms the basis for a medical detective television drama series treatment he co-created, currently being “shopped” in Los Angeles.